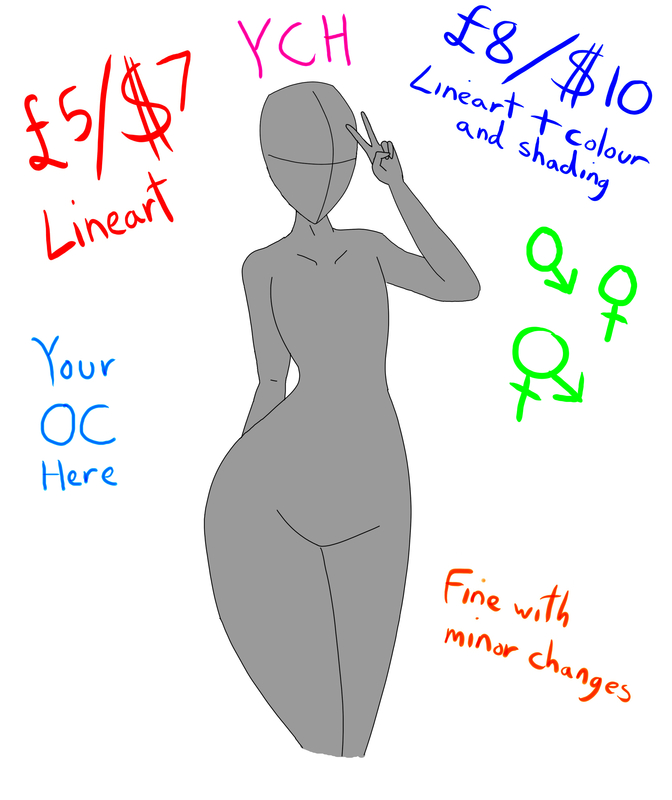 YCH - Your Character here! Anime or furry! I’m fine with simple changes you can request, for example, to be chubbier or thinner, or to be another gender. A simple colour background of your choice. It should only take a few days unless said otherwise. Photo references would be fine but if you can also just describe the OC to me. Or even use a character from something else. Please message me for details or sell.